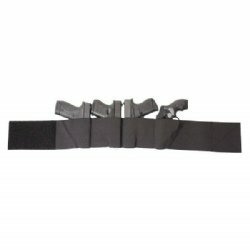 The Desantis Belly Band is a comfortable, flexible, and breathable holster that offers numerous ways to carry small to medium pistols or revolvers. 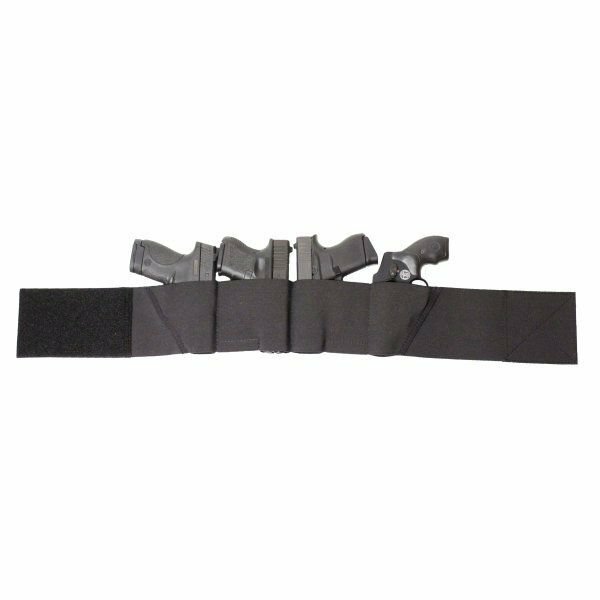 Your weapon or weapons can be carried in a neutral or forward cant low on the hips. Available in Black Only. This is size extra-large, recommended for waists of 44-50 inches.